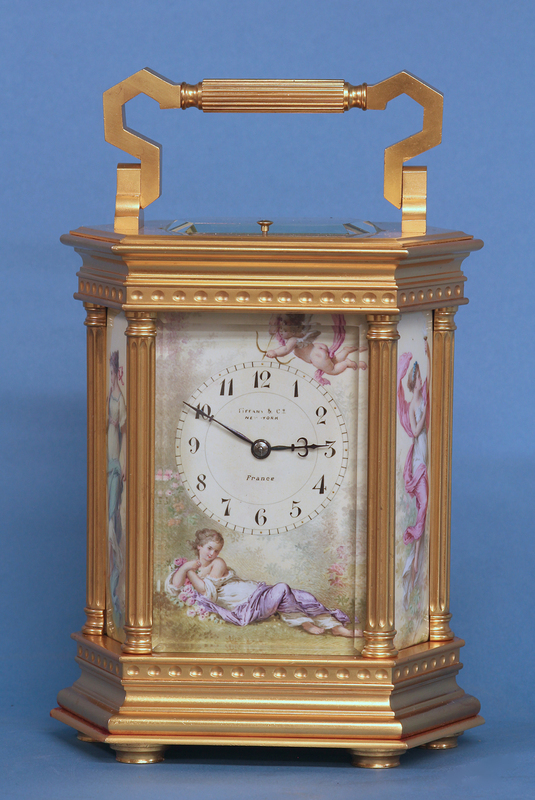 c.1901 French 6-Sided Enamel Paneled Carriage Clock. 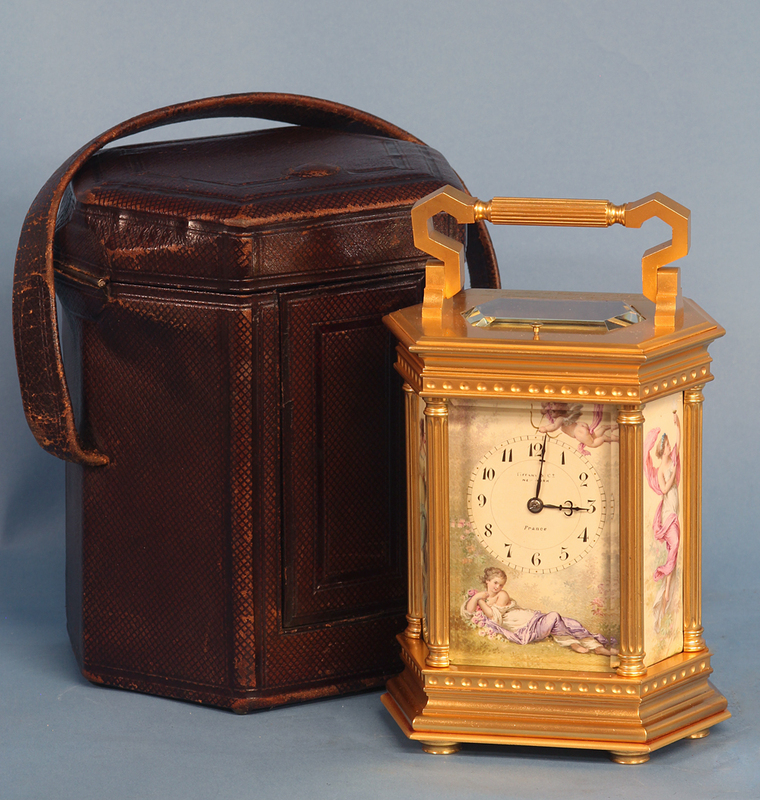 A very rare late-nineteenth century six-sided enamel paneled carriage clock that was retailed by Tiffany & Co.and still retains the original leather covered travel case. 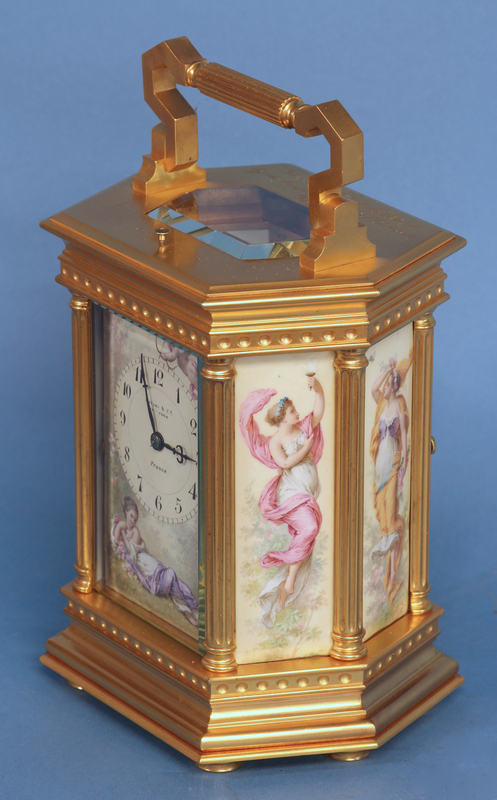 The exceptional gilt-bronze six-sided case has fluted Doric columns, decorative moldings top and bottom, a hinged handle, thick beveled glasses, stylized bun feet and enamel panels to the sides depicting the four seasons on cream grounds. 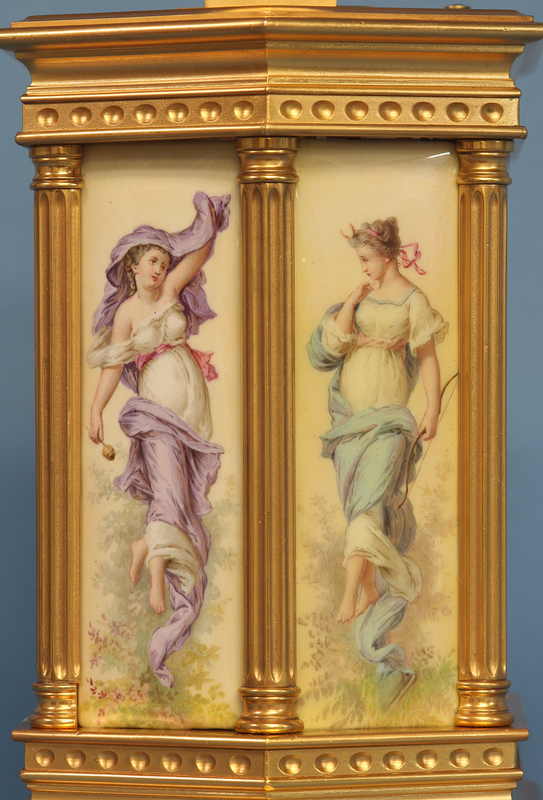 The top has a wonderful engraved dedication that reads ‘Presented to Charles E Leland by the employes (sic) of Hotel Childwold, Sept. 25, 1901’. 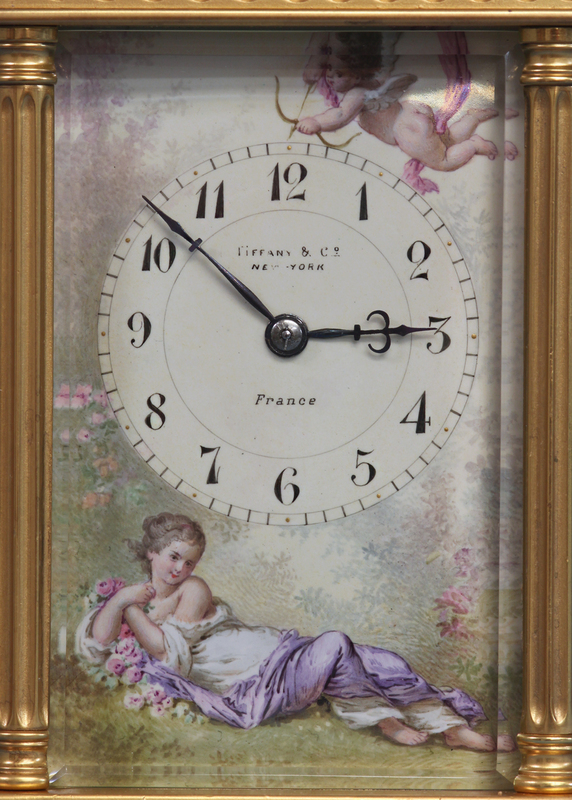 The enamel dial depicts a landscape with a reclining female figure at the bottom and cupid flying above. It has Roman numerals for the hours, a minutes chapter, steel-cut hands and is signed ‘Tiffany & Co., New York’ and ‘France’. 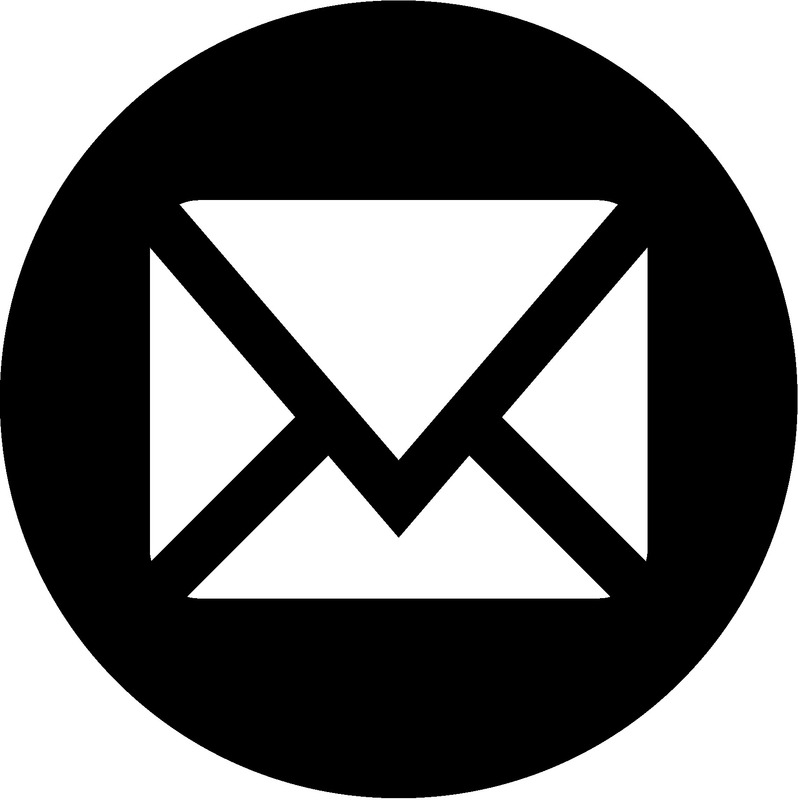 The eight-day time and strike movement retains the original lever balance platform, strikes and repeats on a gong and has all the indications in English. 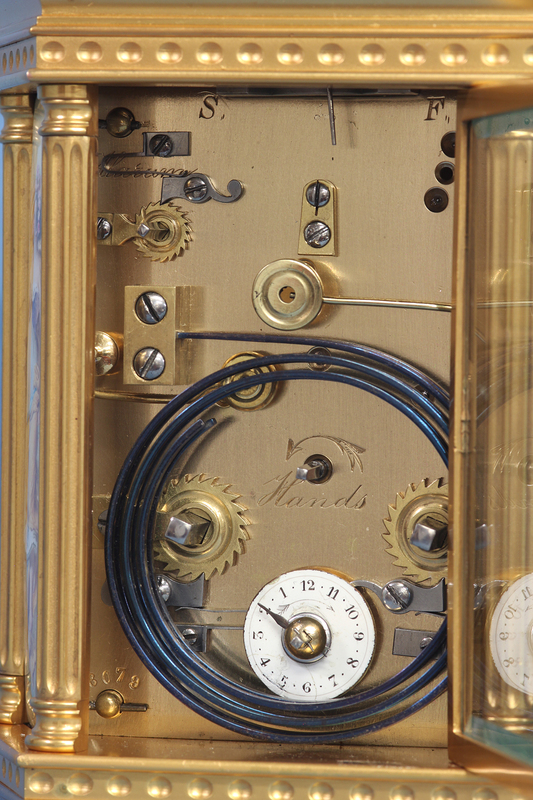 The alarm is wound and set off the backplate, has a porcelain dial and strikes on a large dedicated gong. 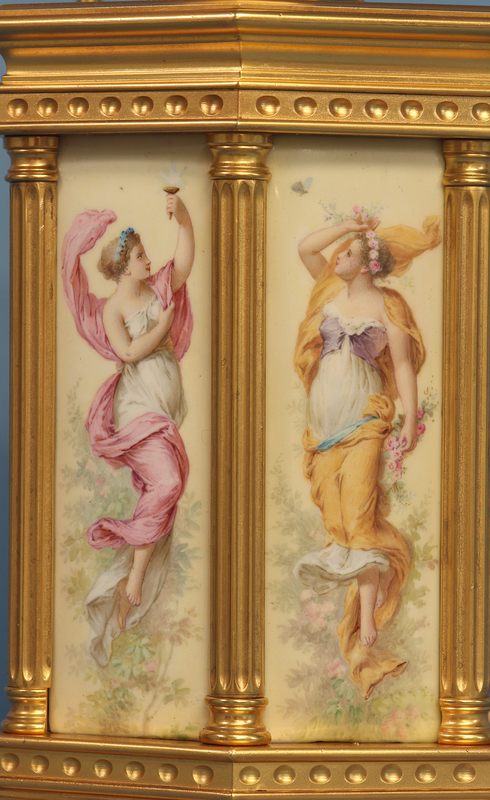 This is one of a total of five known examples While they all have decorative panels and similar cases, no two are the same. 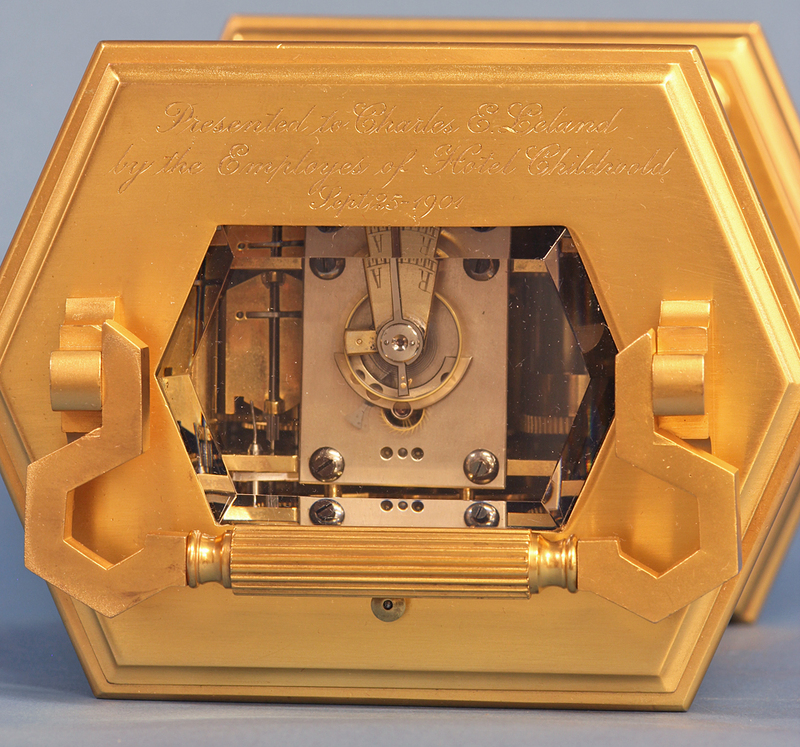 This is the only example with the original traveling case. Hotel Childwold was located on Lake Massawepie in the Adirondacks. Charles E. Leeland was a highly-regarded hotel manager and proprietor of prestigious hotels all over the US. 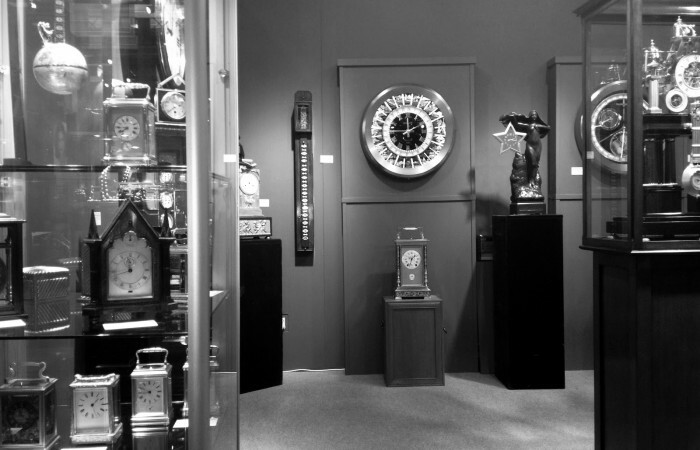 Sotheby’s, ‘Important Clocks, Watches, Wristwatches and Barometers’, London, 12/95, Lot 222. 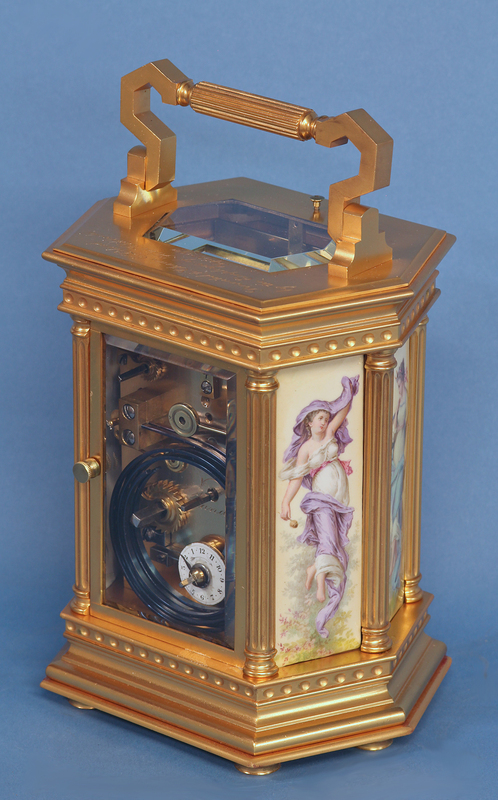 Fanelli, ‘A Century of Fine Carriage Clocks’, pg. 83. Roberts, ‘Carriage and Other Travelling Clocks’, pg.112. Size: 6 inches to top of case.